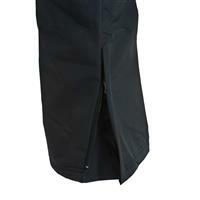 Shell: 100% Nylon with ThermaLock Coating offers maximum degree of durability compared to polyester. Lining: Brush Tricot Mesh Lined. - Non-insulated with mesh-lined interior. - Adjustable waist for a comfortable fit. - 600 Denier Oxford reinforced ankle, scuff and hem guards for abrasion resistance. - Boot Zippers for easy on and off. 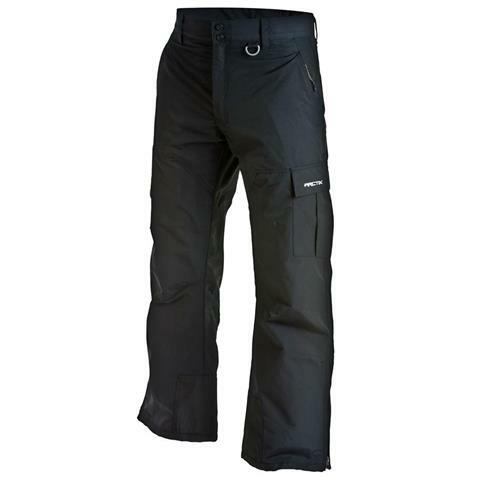 - Boot Gaiters with Grippers forms a seamless integration with boots keeps warmth in, and moisture out. - Zippered Hand Warmer Style Pockets. 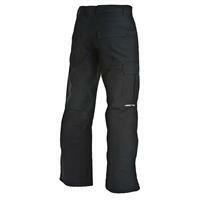 - Cargo pockets for added storage. - Sizes: S through XXL. Great, water resistant insulated pant for any winter activity. Shovel snow, check, sledding or tubing, check, comfortable and warm, double check.